Welcome to the January 2012 newsletter! As we move into the New Year, we also encounter new changes to the UK theory test. The DSA have announced that it will stop publishing the multiple choice questions and answers and start using unpublished questions from 23 January 2012. 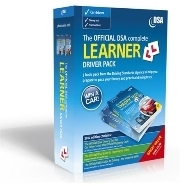 For information about how the theory test works, visit direct.gov.uk/theorytest. A new system to tackle uninsured driving moved a step closer. The introduction of new Continuous Insurance Enforcement regulations will make it an offence to keep an uninsured vehicle, rather than just to drive when uninsured. The regulations will allow DVLA to take action against those who ignore warnings to get their vehicle insured. "Uninsured drivers injure 23,000 people each year and add £30 to every responsible motorist's premium so we need to do everything we can to keep them off the roads. the vehicle will only be released when the keeper provides evidence that the registered keeper is no longer committing an offence of having no insurance and the person proposing to drive the vehicle away is insured to do so. Vehicles with a valid Statutory Off Road Notice (SORN) will not be required to be insured. It is planned for the fi rst insurance advisory letters (which warn individuals that they appear to be uninsured) to be sent at the end of June following a publicity campaign to raise awareness of the CIE scheme. The Motor Insurance Database (MID) will be used to identify registered keepers of vehicles that appear to have no insurance. All drivers can check their vehicle is recorded on the MID for free - visit www.askMID.com.